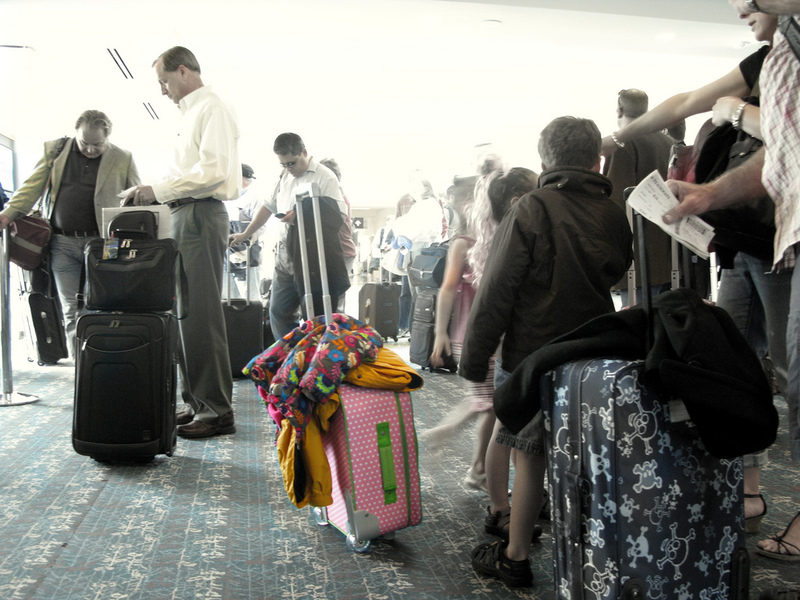 Facing the possibility of hefty checked-baggage fees, many travelers have resorted to testing the structural integrity of their carry-on bags — laptop bags packed with more clothes than electronics; purses bursting at the seams with shoes, food, books, and anything else that will fit. But one major airline is telling travelers to put some of their bags on a diet. British Airways recently announced that the maximum size for handbags and laptop bags — typically the secondary carry-on that you shove under the seat in front of you — to 16″ x 12″ x 6″. That’s a reduction in all three dimensions, from the airline’s current allowable size of 18″ x 14″ x 8″. The airline will be vetting bags at the gate. Those that are no larger than the new maximum dimensions will be given a yellow tag that indicates to the cabin crew that the bag is guaranteed to be allowed on the plane. Those bags outside the new size limit will be asked to gate-check the bag. So if you’re planning on flying BA, it wouldn’t hurt to take a measuring tape to your secondary carry-on before you find yourself having to remove your laptop and other expensive/fragile items at the gate. Earlier this summer, the International Air Transport Association proposed smaller allowable dimensions for carry-on bags, presumably in response to the number of travelers now using mid-size rolling suitcases that crowd overhead bins. However, only a week later the IATA backed off this suggestion, saying the blowback from airlines and some travelers was more immediate and negative than expected.